In this post, I’d like to bring together two of my favorite things: Attribution theory and American Idol. Attribution theory is a collection of theories and models developed by social psychologists to explain how we explain things. Human beings are obsessive explainers—we always want to know why things happen. How we make these explanations (also called attributions) can be very interesting. American Idol, of course, is the television show that dominates the ratings for the first several months of each year. In it, singers perform for a panel of judges, after which the judges give their opinions of the singer, and the viewers phone in to vote for their favorite singer. In applying attribution theory to American Idol, we ask why things happen on that show. Why do viewers vote for a particular singer? Why does a singer choose a particular song and style to perform? Why do Ryan Seacrest and Simon Cowell bicker with each other? And… the question that I’ll discuss here: Why do the judges say what they say? A powerful version of attribution theory is Kelley's Covariation model of Attribution. This model says that the way we explain why something happens depends on how we answer three different questions. If person “A” does something to person “B”, the first thing we ask is whether “A” is the only person doing it or if lots of other people are doing it as well. Kelley terms this consensus. Then we ask if person “A” always does this or if this particular time is a unique occurrence. This is consistency. Finally, we ask if person “A” does this to everyone or to just person “B”. This is distinctiveness. According to Kelley’s theory, how people answer these three questions tells us how they’ll explain why person “A” did what they did. To apply this theory to American Idol judging, let’s start with Simon Cowell—the acerbic-tongued British music producer. His comments tend to be low on consensus—he’s not afraid to offer an opinion different than the other judges and the live audience. (In fact, the audience routinely boos him for expressing negative opinions.) He’s also low on consistency. One week he’ll rip a contestant while the next week he’ll praise the same contestant. Finally, he’s also high on distinctiveness. On the same show, Simon will pointedly criticize one contestant and praise another. 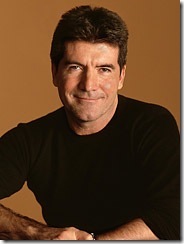 How do we explain Simon’s comments? Perhaps he bases his opinion on the particular performance. 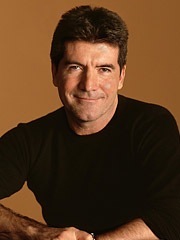 As the performances differ in quality across singers on a given evening, Simon will express different opinions. If a particular singer’s performances vary across weeks, he will also give different opinions. Now, let’s turn to Paula Abdul, the former Laker girl and pop singer. Paula takes a very different approach to judging than does Simon. Her comments are high in consensus because she almost always agrees with fellow judge Randy Jackson. If Randy says a contestant has pitch problems, Paula will chime in too—often repeating Randy’s exact phrasing. The more the audience cheers for a singer, the more Paula will as well. Her comments are also high in consistency—she takes the same positive, supportive approach to a singer each week. If she praises a singer one week, she’s almost certain to do it again the next week. Her comments are also low in distinctiveness. She praises all the singers. In fact, that sets up one of the creative tensions of the show—Paula will gush over a singer and then Simon will lambaste them. How do we explain Paula’s comments? Perhaps she bases her comments on a general desire to affirm and support each singer, regardless of their performance. Her comments tell us more about Paula than they do about the singer—for each singer gets rather positive comments on each show. What about Randy Jackson? He’s somewhere in the middle between Paula and Simon—he aims to be kind in his comments (unlike Simon) but he will sometimes critique the performance (unlike Paula). I suppose that makes him somewhat less quotable…but consistent. My personal favorite Paula quote: "You are unique to yourself."